Knives are undeniably one of the most useful tools in the culinary field. Whether you are trying to cook or eat, having a great knife by your side will surely make your cooking or dining experience a whole lot easier. If you currently don’t have a set of knives in your kitchen, I’m sure you must have struggled with trying to slice or cut all sorts of foods into little bits and pieces. I mean, sure you could take apart pieces of food with a spoon and a fork in your hand, but it won’t look pretty, I assure you. But hey, this is why you have ended up reading this article right? 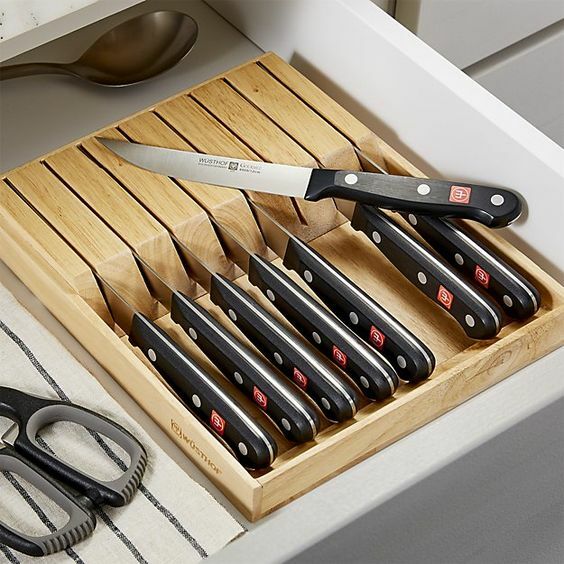 Because you want to get a fine set of knives that you and your family or guests can use whenever you whip up something good like a thick slab of steak. Luckily for you, this article will contain all the things you need to know in order to get the best knife set under $100 online. Any person who does some cooking in the kitchen and who often eat foods that need to be sliced or cut such as vegetables, fruits and thick slabs of meat will need a reliable knife at home. Slicing, dicing, mincing and cutting won’t be possible without reliable knives. Some people can probably get away with just a knife or two but having a knife set that comes complete with all types of knife can ensure that you have something to use for every cutting or slicing work you need to do. It’s hard to slice a bread when you are using a regular knife, for instance. 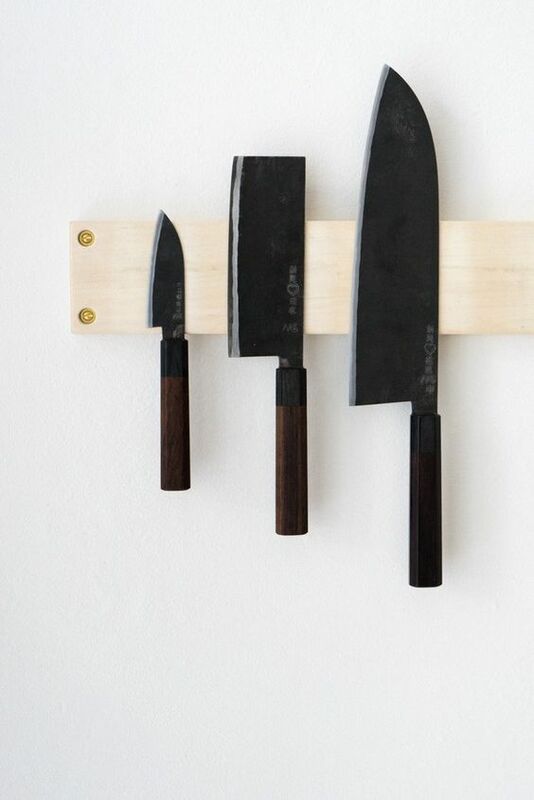 There is a knife for every slicing need. 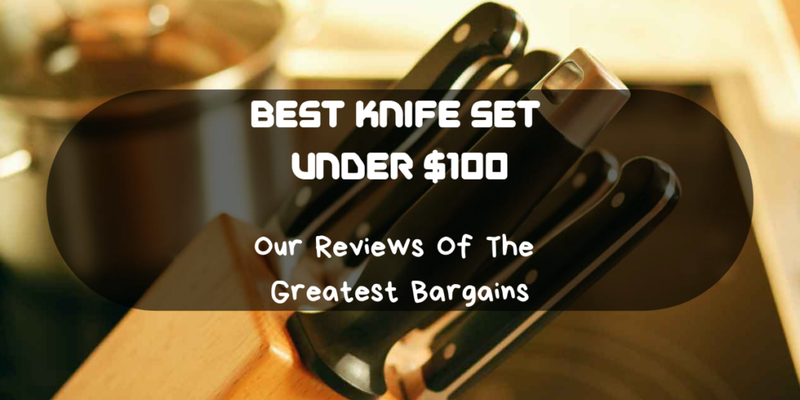 Before we get into the best knife sets you can find under $100, you should first get familiarized with the different kinds of knives you will find on the market today. As the name suggests, micro-serrated blades feature small serration. You will be able to find micro-serrated blades on cheap knife sets. In my opinion, this type of blade is terrible for cutting steaks or pieces of meat. Its micro serration can tear meat and make it look as if it was pulled. What’s more is that they can easily get dulled and are impossible to sharpen. Serrated blades make great knife sets because they cut faster and more efficiently than any other knife. Though it can be a bit more difficult to sharpen once dulled down, serrated knife sets actually take a long time before getting dull since its cutting edges do not reach the plates dulling surface. But if a beautiful cut is what you are looking for, getting a serrated steak knife may not be the best choice for you since it tends to tear and rip meat. Plainblade knife sets can help you cut through meat like butter. It does have a downside though. Its plain blade tends to give out a squeak whenever it comes into contact with the plate’s surface. It also doesn’t remain sharp for too long, unless it’s frequently used on wooden or plastic plates. 1. Take your cooking preferences into account. Do you do a lot of cooking at home? If so, you might need one with more knives or one that is a complete set instead of just a couple of knives. 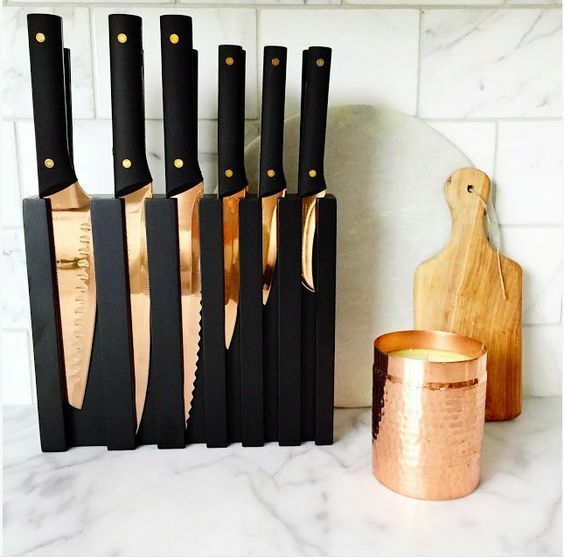 Look for a set that includes a steak knife, paring knife, chopping knife and serrated knife so you have everything you need for cooking. If you only cook once a day, a basic knife set with only 4 or 5 knives included in the set will probably suffice. 2. Check the materials used. What is it made of? This will let you know whether the knives will last for a long time. Choose materials that are known for their rust-resistant properties. Make sure the materials are also thick enough to withstand warping. Also check the materials used for the handles. If it is made from wood, find out if the wood has been treated as wood requires protection from moisture. Moisture can cause the wood handle to rot. 3. Make sure they are easy to clean, maintain and sharpen. Pick knives that shouldn’t take a lot of effort to maintain. Knives that retain grease, for instance, can be difficult to use. Also look for those with self-sharpening features. That way, you can enjoy using them and they won’t dull easily over time. 4. Look for those backed by a guarantee. Not all knife sets are backed by a guarantee. Some have a lifetime guarantee and others even have a money back guarantee. If you encounter problems with your knives such as damages, warping or rusting, you can get your money back or you can get the manufacturing company to replace your purchase. Are the knives heavy? If they are, using them to prepare a lot of ingredients can be cumbersome and tiring. Check how comfortable the handles are. Make sure your hands can grip the handle well. The Laguiole is a well-known brand in the cutlery industry for its tasteful looking knives. If you are into classy and classic aesthetics, this knife will surely be a pretty addition to your dining set. 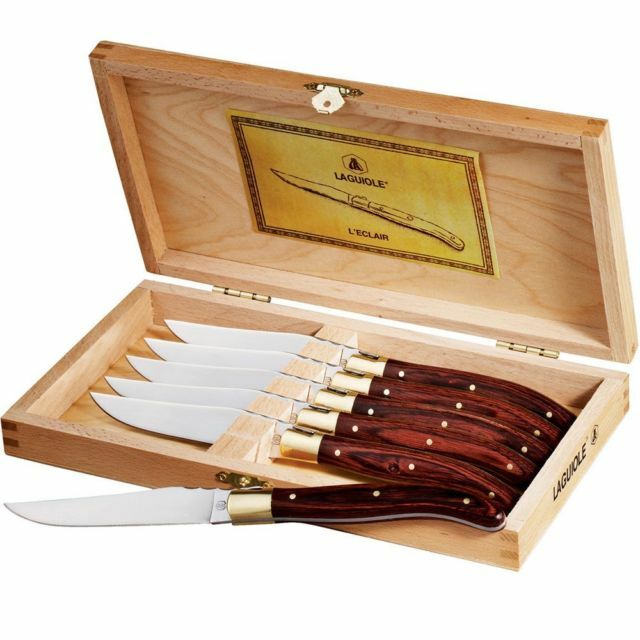 The Laguiole knife sets come with extremely durable stainless steel that is placed between triple-riveted wooden handles that is bared with a distinctive bee icon at the heel of the blade. What’s great about this steak knife is its ergonomic design that makes its handles perfectly comfortable to grasp. 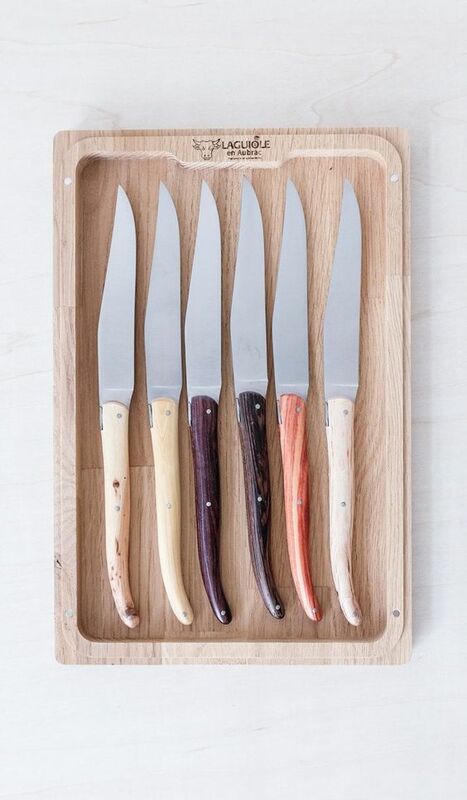 If you decide to go with this set, you will not only get a fancy-looking addition to your dining set, but you will also get a very chic looking wooden presentation box to keep your knife sets in. Wusthof gourmet knife sets are the product of Germany. These classic knife sets come at an affordable price and can be considered the industry standard. Though this steak knife is a lot cheaper than high-end ones, it still comes with an elegant looking design that can make it a great addition to any dining set. What’s more is that it comes with a reliable lifetime guarantee. Some said they didn’t like the way the handles feel. Some said the knives are too sharp. Extra care and attention should be given when using it. The Victorinox pointed tip steak knife is the type of knife that you can instantly use out of the box. 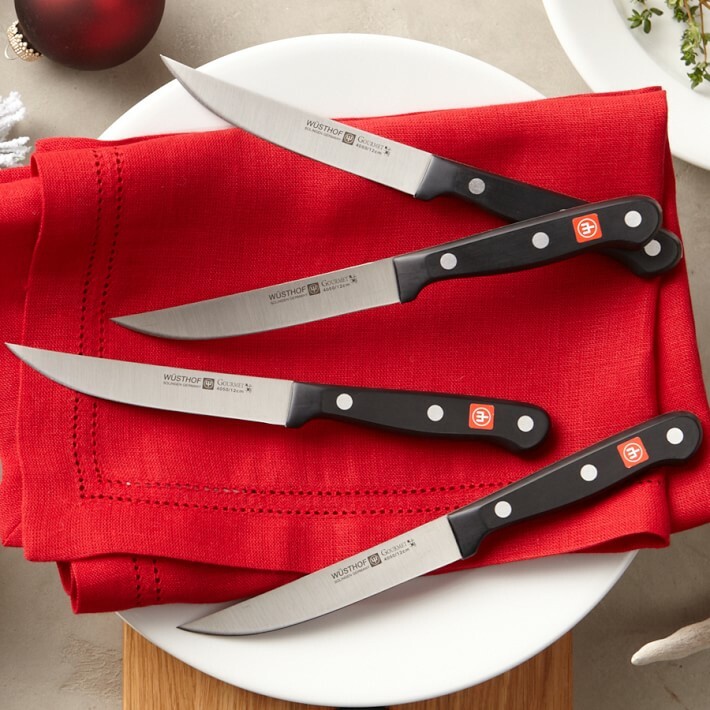 Even though Victorinox knife sets are considered to fall under the average price range, its blades can make a clean and smooth cut on any piece of meat as if it was a hot knife going through butter. What’s great about the Victorinox is that even though it comes at a low price, its appealing rosewood scales give it a premium look. What’s more is that since this knife comes with a pointed tip, it’s a lot easier to sharpen. This inexpensive knife set has everything you need for all sorts of slicing. It has an anti-rust feature, thanks to its copper material mixed with high carbon stainless steel. All the knives you are getting boast of precision and strength, so you can cut through those tough foods with accuracy. 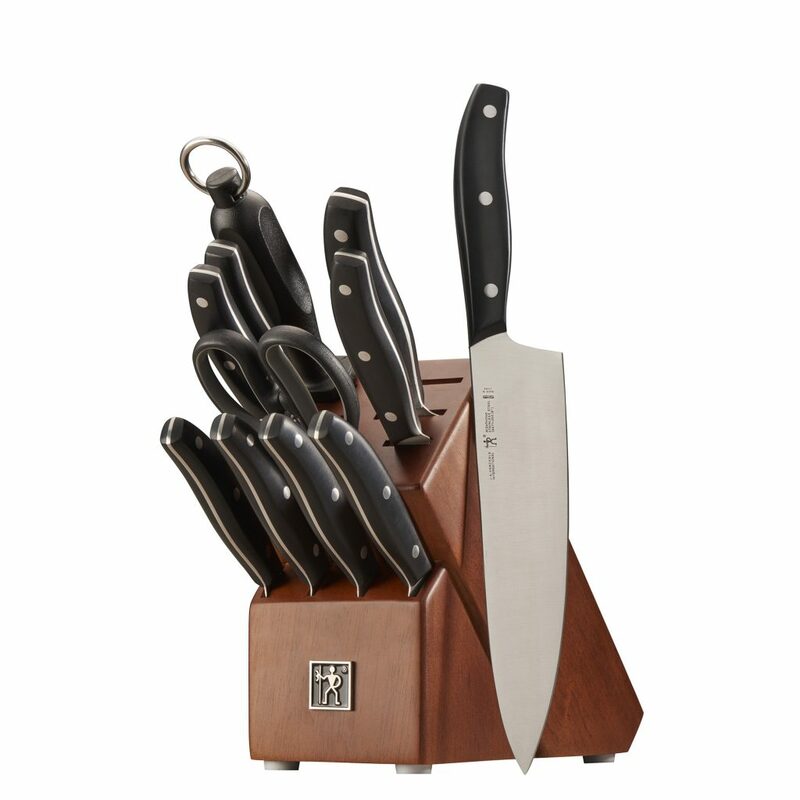 The handles have a wood grain, and the set comes with a wooden block that you can use to showcase your knives. The manufacturer backs this up with a money back guarantee. If you find yourself unhappy with your set, you can return the product and they will give you your money back. It’s hard to find a more affordable knife set that comes complete with everything you might need in your kitchen. 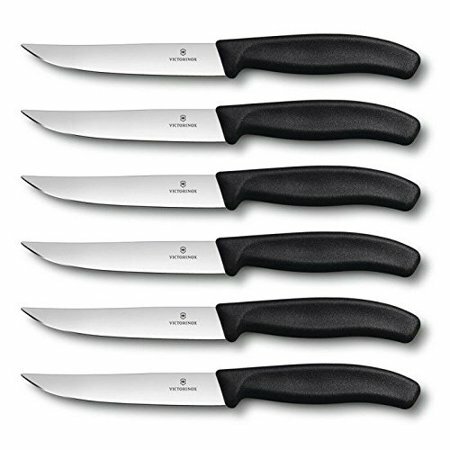 This set offers it all – from paring knives to steak knives, so if you are looking for a starter knife set, look no further because this can deliver what you are looking for. It doesn’t disappoint when it comes to quality of materials as well. Crafted from stainless steel materials, the knives from this set will surely last for a long time. The stamped blades ensure that you are cutting with precision. The full tang design enables you to use the knives with ease. They are also lightweight, thereby making it easier to prepare your ingredients. All of these products are worth buying but we highly recommended the Laguiole Stainless Steel Knife Set for those who are on a tight budget and just want a couple of trusty knives for their cooking needs. Despite their cheap price, these knives can last you for a long time. The same is true for the Wusthof Gourmet Knife Set. If you like more precision in your slicing and you love something that truly delivers quality cuts, this is the knife set to get. It’s a bit more expensive than the previous one but it is worth it. The Wusthof Gourmet Knife Set is undeniably the best knife set under 100 and it has all the features you need. Just moved into a new home? Get the Victorinox Knife Set. This will serve its purpose well and shouldn’t be difficult to clean or store in your kitchen. 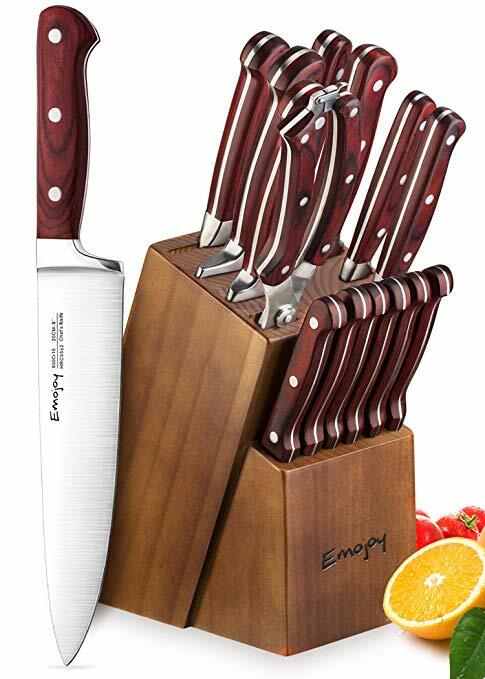 Those who tend to do a lot of cooking should consider getting the Emojoy 15-Piece Kitchen Knife Set. There are more knives in this set, great for all sorts of cutting and slicing needs. You also get more knives from the J.A. Henckels International Knife Block Set but this one truly delivers professional-like performance. You will feel as if you have a knife set used by expert chefs. It is the most expensive of the bunch but it’s worth it. Make sure you click on the links of the products you feel is the best fit for your needs. For more knife suggestions and even kitchen tool recommendations, check out our homepage. You can find valuable information and buying guide to help you find the right equipment and tools for your needs.